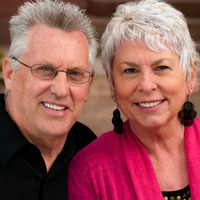 Mark and Abby King, partners in the journey of life and faith for over 35 years, are the senior pastors of LHOP. They were professional sinners when they met Jesus in 1974 but their lives were so dramatically touched and radically changed by encountering the living God and the power of the Holy Spirit that they have never been the same. Since founding the Lord&apos;s House of Prayer in 1979, Mark and Abby have heralded a vision that empowers others to find their callings and destinies. Their goal is to establish, equip, and encourage individuals and ministries to reach for the heavens and pull them to earth. 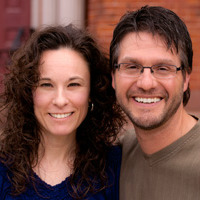 Pastor Matt Kroll and Joanne have been married since 1994 and have two beautiful children. They have been serving in the Lord’s House of Prayer since 1994. Matt has been in ministry for over 20 years. Before being called into full time ministry, he served as a lay youth leader for seven years. His heart is to encourage people to know who they are in Christ and to live it out in everyday life. His ministry is about encouraging, equipping, and establishing people in their calling. He loves to see people truly experience God personally and be empowered to do what God has called them to do in every area of life.